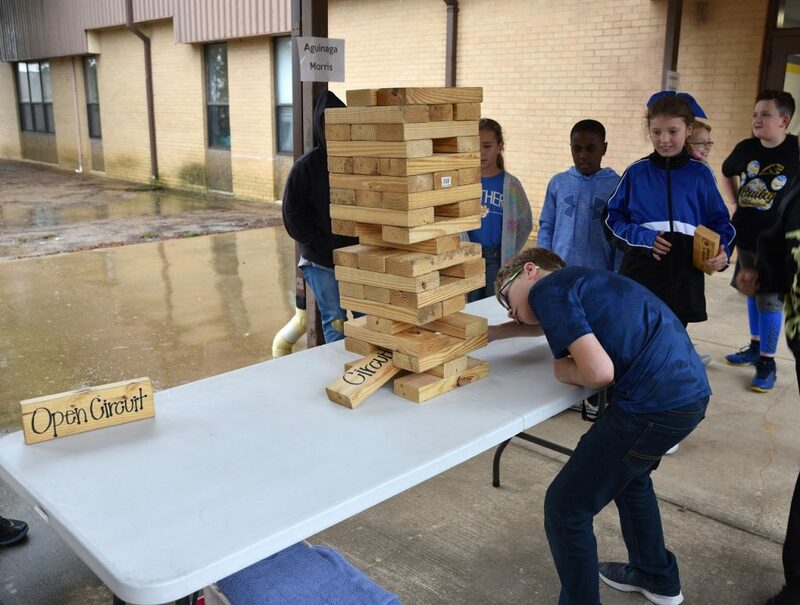 In an attempt to learn science terms, Bailey fifth grader Maddox Phillips carefully pushes a Jenga block out of the stack while others watch to see if the move is successful. Students in Dusty Morris’s fifth grade science class played Jenga to test their science vocabulary knowledge. Working in teams, each player took turns choosing a block from the stacked pile. Blank blocks were carefully added it to the top. Blocks containing vocabulary words were shown to a member of the opposing team who was to give a definition of the word. If correct, that player kept the block. The team collecting the most blocks was deemed the winner.